I'm so thrilled, I've been given not 1 but 2 blog awards in the last week, it's such an honour. 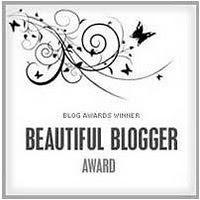 The first is from Gillie and is the Beautiful Blogger Award. 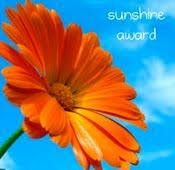 The second award is The Sunshine Award from Babs A big thank you to Babs for the honour. 3, Link the nominees within your post. The hardest part is picking the blogs to award, I read so many wonderful blogs that inspire me not only in stitching but reading and blogging but here are a few of my favourites for both awards. And a well deserved one for you as well! The new look header is brilliant! Mine are so rubbish I shut them down! I remember the rat outfit lol (now you reminded me)happy days of yore. Congratulations on your award and thanks for sharing those links with us! Thank you for the honor. I am glad you enjoy my blog. Thank you Jo for the award.... you know I read your blog, but didn't look at who you awarded. Thank you so much Jo. I'm still new at this & look with envy on all the great blogs. Now I have dumb question. How do I get the logos from your blog to mine? I'm sure it's simple but so far I haven't been able to figure it out. Congrats on your award you deserve them both. I just wanted you to know that Just One More Stitch is not up anymore. 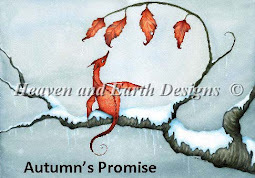 It is now theflyingitchesneedle.blogspot.com so come by and see my new digs. I had to stop using that first one for some unknown reason so long ago. I enjoy your blog and I marvel that you get so much done with three small children. Glad your kids are on the mend. Your calendar pages are awesome!!! I have never seen that pattern. You do beautiful work.